Attention all music nerds and more specifically, classic rock aficionados, Marshall has something for you! Marshall’s spanking new London smartphone looks to fill a gap we didn’t know needing filling. 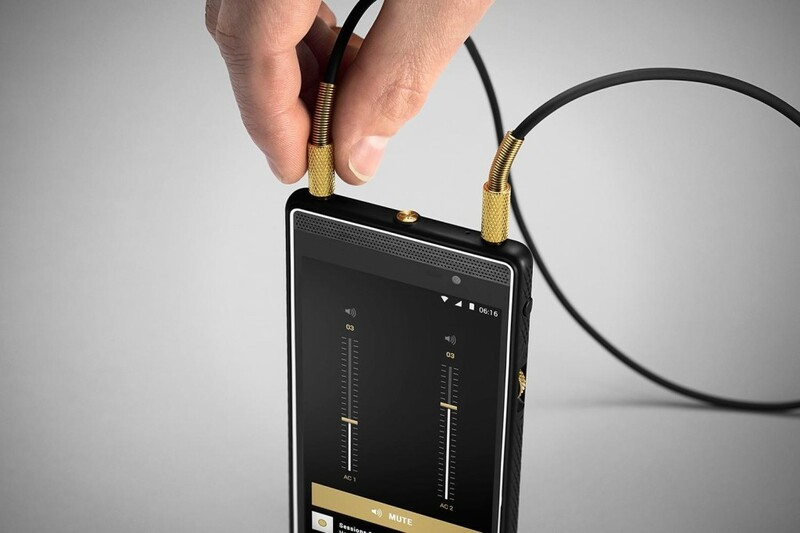 A music centered smartphone geared towards those very serious about their music. The world famous Marshall, the same company that makes amplifiers for some of the greatest musical acts in the world has decided to enter the fickle phone arena. The London is positively oozing with classic Marshall looks. The 4.7” display is surrounded by a chrome bezel while flanked by dual speakers. The rest of the case is meant to look like the famous Tolex vinyl that Marshall covers their amps and speakers in. A nice little touch are knurled brass buttons for power and volume. The Marshall London has some really great music focused features for those who like to plug in and rock out. Starting at the top are dual headphone jacks for sharing your jams or plugging in for a quick DJ session. Each source for the headphone jacks has its own volume for added control. The audio specs are impressive with the audio being delivered by a Wolfson WM8281 Audio Hub for a better aural experience. Android’s lollipop 5.0.2 which is one step behind the latest feature ultra-low latency for almost no delay in music streams. A rather unique touch is the “M” button on the top of the London. This button serves as a one touch warp to your preferred music source for a fast music fix. Marshall really catered to the audiophiles with the ability to natively read FLAC files for the ultimate in audio fidelity. There is also a DJ app which will be available that will support the impromptu rave. What’s not so impressive are the rest of the London’s specs as a smart phone. The 4.7” display is only good for 720p which is not bad but you can get better. Processing power clocks in at 1.2GHz for the Snapdragon 410 while being flanked by 2GB of RAM and 16GB of storage. The Marshall London is fresh looking but it gets lapped by phones that cost less than half as much of its almost $600 retail price.